Add additional attribution to fashionistas in spring and summer are sunny flower hats as these crochet Panama flower hats. Our Crochet Channel is going to share this stunning crochet art of panama hats, bright with flower, they become a beautiful addition to any lady of all ages. The pattern is originated from a lovely Russian lady Mellisa and got viral so some of crochet addicts ( Louise from Red Haired Amazona and Vicki from Off the Hook) figured out the English pattern for all crocheters. (Don’t worry if you can not figure it out, there are all different crochet products available on Etsy that you can choose from). And today you are lucky here for getting the free pattern and video tutorials so you can follow even if you are a crochet beginners. They are so cute and you can hook on with your own beautiful Crochet Panama Hats with these endless inspiration at the end! 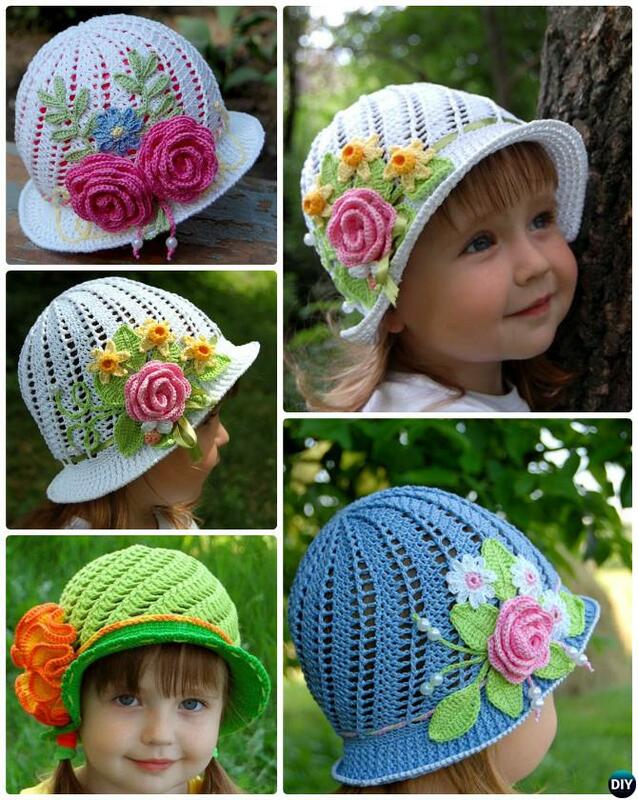 Crochet with all those beautiful flowers, animals, fruits with bright colors to make the hat more impressive. 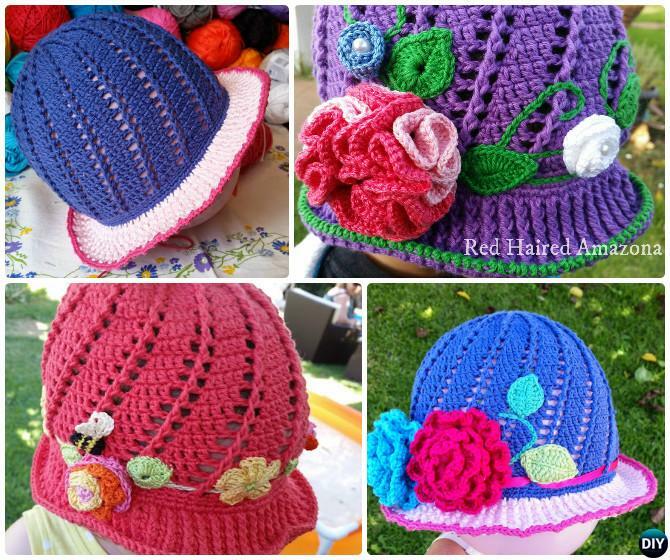 Red Haired Amazona Crochets shares a free video instruction and demonstrate the detailed crochet stitches and technique of this beautiful sun hat, here is another video instruction from Russia which we love, too.